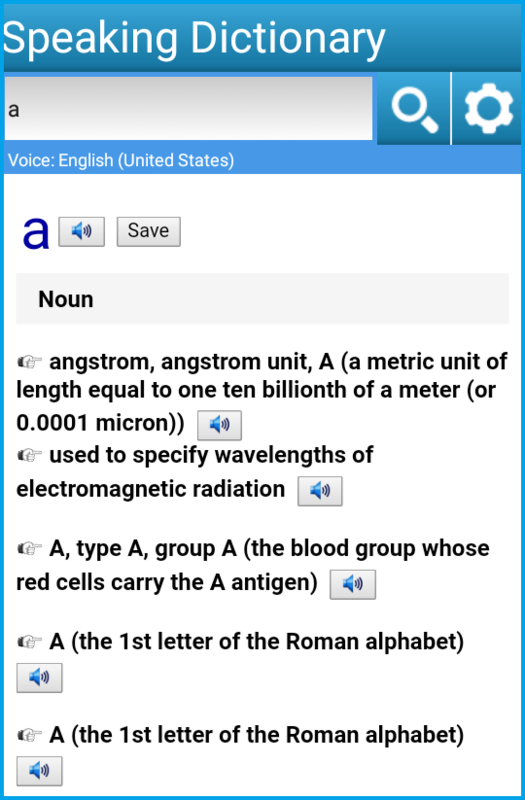 - This is English - English Dictionary, user can hear sound of any word and all sentences in explanation and examples. 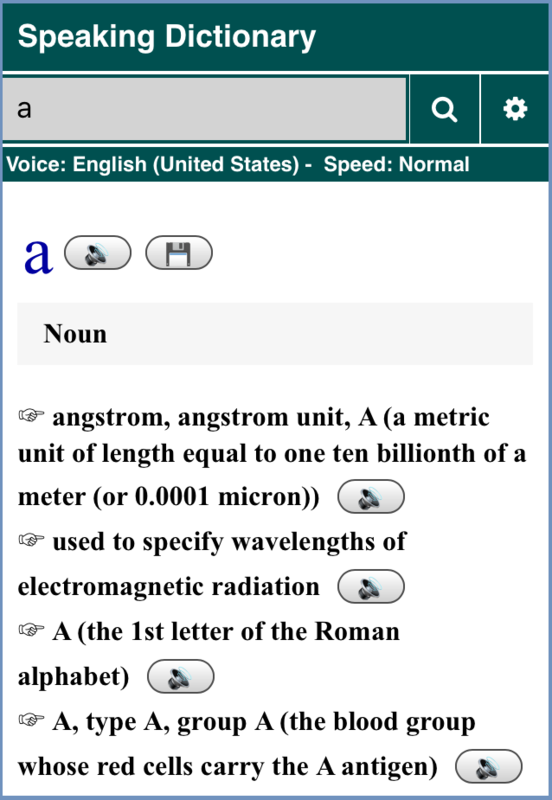 - This dictionary has more than 200.000 words. - Help you learn speaking English. - User can search any word and hear sound even that word has no meaning in the system. - User can Save any word and review later. - User can hear speaking any word, meaning and example easily just one click. - In Basic Words level list 1000 most common words divide by 100 Parts, user can learn each Part easily. - Each word has meaning and example. - User can easily go next or forward previous word or go to next Part easily.